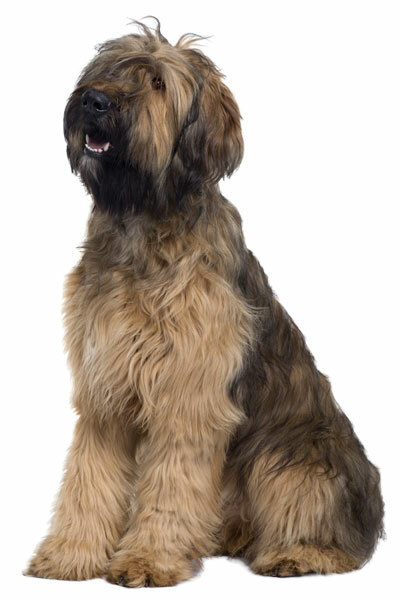 The Briard is an ancient dog from France. This large, rugged and fearless breed caught the attention of famous people like Charlemagne and Napoleon. A large pastoral dog, stands 58 to 69 centimetres at the withers and weighs 70 to 90 pounds. It is an expensive breed to own because of its big size and demanding grooming requirements. Has the Briard sparked your curiosity? Here is a brief background of this large, hairy dog that is known for its courage. The real origin of the Briard is a bit vague since there are various versions. Some say it originated in France during the 8th century. It is believed that the French developed this breed, successfully crossing dogs that arrived from the Orient with local Pastoral dogs. Originally called the Chien Berger De Brie, it was developed to produce a large, fearless sheepdog that could go after wolves and other wild predators. The Briard was also used in the military and even became the official dog breed of the French Army. Because of its courage and intelligence, the breed was also linked to famous people such as Emperor Charlemagne, Napoleon and Lafayette. Experts believe that it was Thomas Jefferson who brought the breed to the US. It was recognised by the American Kennel Club in the late 1920s. The breed only arrived in the UK in the late 1960s. With its large size, rugged appearance and significant amount of hair, the Briard is an eye-catcher. It stands 58 to 69 centimetres at the withers and weighs 70 to 90 pounds. It has a slightly rounded head, strong mouth and muzzle, a square jaw with a perfect scissor bite, large brown eyes, and a black nose. 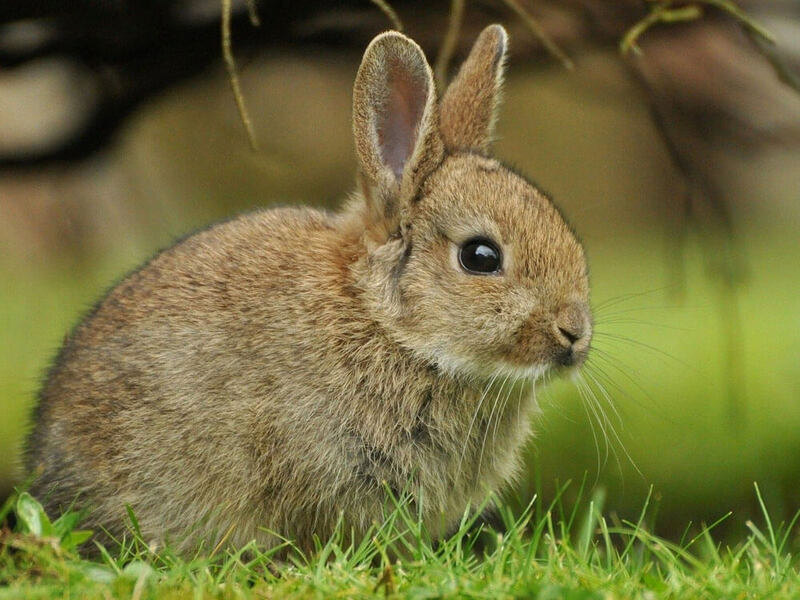 Its ears, covered in long hair, are set high. It has a supple, muscular and well-proportioned body. 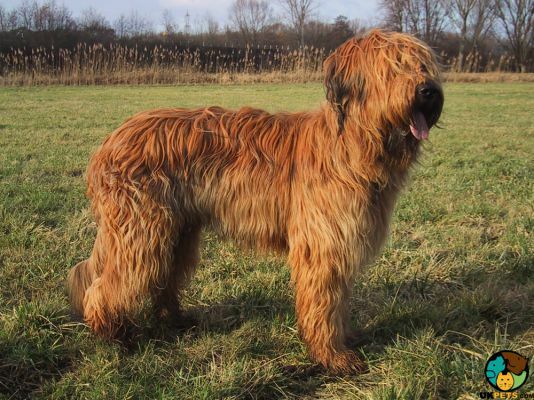 The Briard’s shaggy coat, which is low- to non-shedding, gives this breed an endearing appearance. It has a slightly wavy outer coat with a coarse texture and according to The Kennel Club standards, it should not be less than 7 centimetres long on the body. On the other hand, its undercoat is soft and fine. The standard colours are solid black, black with scattered white hairs, and fawn. Some may think that grooming this handsome breed is easy because of its rugged appearance but this is not the case. Its double coat needs a lot of work to maintain. Its fluffy coat is a magnet for dirt and its paws can easily get muddy. To maintain a clean and tidy coat, plenty of brushing and combing must be done daily and a bath every six weeks (or more frequently if your dog spends a lot of time outdoors). Apart from keeping its coat in top shape, also remember to pay attention to its dental health. Brush its teeth at least twice a week and provide it with chew toys to support strong teeth and healthy gums. Lastly, keep its ears clean and dry, nails trimmed, and skin free from bumps and fleas. 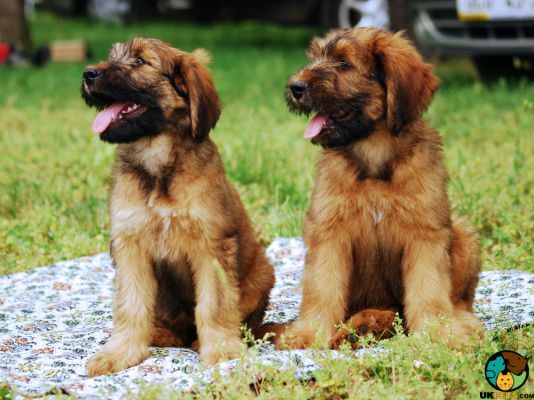 The Briard is energetic, fun-loving, loyal, and courageous. While it may be fearless and wary of strangers, it is in no way aggressive for no reason. This good-natured dog loves to be part of all family activities, may it be going out on a trip or simply lounging around the house. It is a great companion for families with dog experience and can handle and train this breed from the beginning. It has a stubborn streak so it needs firm and consistent training but done with a gentle hand. This method can be confusing for first-time owners. To become more obedient, the breed has to be taught its place at home and who is the alpha in the family. As a family dog, it does well around children but tends to herd them and be overprotective. Although early socialisation can teach it to get along with other pets, its high prey drive may be difficult to outgrow when it comes to small animals. It needs to be physically and mentally busy daily to be happy. Briards may have predisposed characteristics but there is no assurance that your puppy will inherit all of them. This information serves as a guide so you know what to expect and somehow help you prepare for them. A typical serving for an adult Briard is 3 to 4 cups of excellent quality dry dog food per day. However, the amount of food depends on its age, size, build, activity level, and metabolism. If you are unsure how much you should feed your dog, try asking your veterinarian. The Briard should be given high quality food specifically formulated for large and active dogs, which is high in protein and low in carbs. Large dogs have different body structures and nutritional needs than their small-dog counterparts. Since they experience rapid growth rates from puppyhood to adulthood, weight control and proper nutrition are important. For this same reason, they also need Glucosamine, Chondroitin, and Omega Fatty acids to support joint health. The average lifespan of Briards is 11 to 15 years. They are generally healthy when properly cared for but predisposed to certain health problems. This includes bloat, night blindness, heart and blood defects, Hip Dysplasia, and Progressive Retinal Atrophy. Briards need at least two hours to release its energy and let off steam. This can be in the form of a short walk in the morning and more challenging and mentally stimulating activities in the afternoon. Unreleased energy means more opportunities to be destructive and noisy. The Briard is an expensive dog to own. Firstly, it is a rare breed in the UK so aside from being on a waiting list, you have to pay no less than £600, which can go as high as to £1,000. Because of its long coat, grooming necessities, as well as professional grooming services could set you back £50 or more per month. You also have to factor in pet insurance, which can range from £40 to £80 per month, and can be costlier depending on your location and the coverage you select. You also have to set aside as much £1,000 a year for routine vet check-ups and preventive care. Above all, the most important cost is food, which costs £60 to £70. The Briard is a large pastoral dog with high exercise needs. It a fearless protector but is not aggressive without reason. To main its shaggy hair, it requires frequent brushing and bathing, and could benefit from appointments at the groomer’s. It is not recommended for first-time owners. Trainings should be firm and consistent, yet gentle.